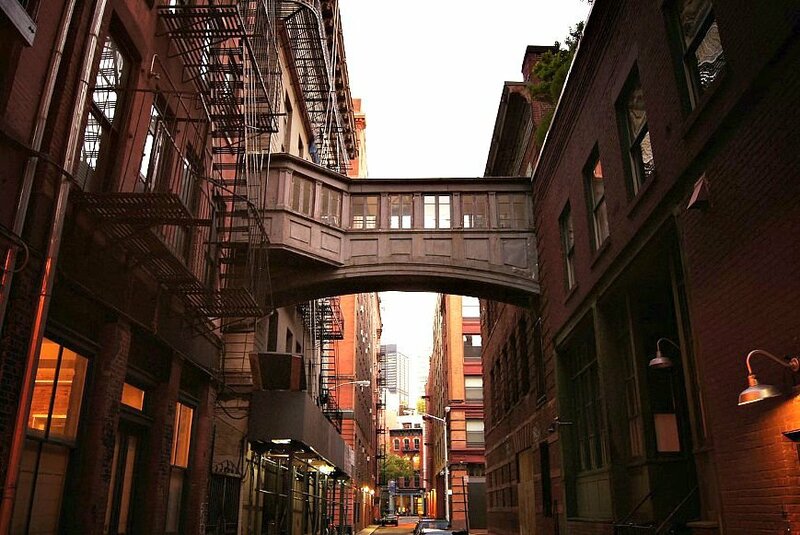 This pedestrian bridge was built in 1907 to connect the New York Hospital’s House of Relief to their three-story brick annex building across Staple Street at the third floor. You’ll notice that the north side of the bridge angles out to wrap around 67 Hudson Street. According to Scouting New York, the 9 Jay Street building still has a terra cotta plaque with the “NYH” monogram on it. For the past 30 years, the bridge has been owned by fashion designer Zoran Ladicorbic, who used it to connect his personal home and studio. Ryan Serhant (of Million Dollar Listing) and Kaptan Unugur will be the brokers for the sale. 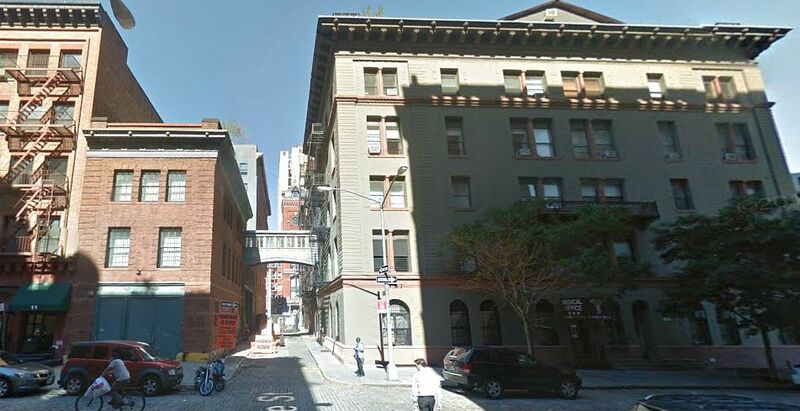 The apartment is 1,900 square feet and the loft-like townhouse is 6,300 square feet. The latter has a rooftop terrace and the option to add an additional 1,800 square feet. Taxes will be $70,395 annually and common charges just under $1,500 a month. The listings haven’t become public yet, but we’ll certainly be keeping an eye out for them.